E-learning: a rival for traditional learning - or a powerful ally? If for some people the first word from the title may seem new, for the most of you I'm positive that it's almost familiar. Thanks to the technological advancements and to our need to shrink distances, we've developed a form of learning which is capable of offering all the information we need in the comfort of our own house. Because of the general lack of time, and also due to its many advantages, E-learning has become both a necessity and also an effective teaching tool. With the help of a PC and an Internet connection, the physicals confines are broken, costs are lowered and the learning process is eased. Today E-learning is gaining more and more ground in the educational market, and according to estimates, more than 38 billion Euros are spent worldwide on E-learning and E-learning materials. The E-learning industry targets higher education institutions, and this means that students are the main customers. Every year the number of students who enroll in online courses is growing significantly, and according to figures the growth is between 12% and 14% per year. In the same time, the development of the E-learning industry triggers important developments in the Internet and multimedia areas. So, the increase in the number of E-learners means an increase in the number of Internet users as well as a growth of the Internet usage. Also, E-learning sustains the progress and advancements of multimedia technologies and software solutions, through the development of new CBT (Computer Based Training) programs. The advantages of learning using a computer-based tool are numerous, and include: costs and time reduction, permanent availability, user-friendly formats, focused materials, interactive learning and many more. On the other hand, one of the challenges brought about by E-learning is that it requires apart from user-friendly CBT programs, also properly trained staff capable of using and creating quality content. If online education is growing at a fast peace, the teachers/instructors also need to keep updated with the available technologies on the market in order to offer support and assistance whenever it is needed. Another challenge is that E-learning is meant for self taught students capable of motivating themselves, which I have to admit is not an easy thing to do. So, now the question is what is going to happen to traditional classroom learning? According to estimates, more and more students combine traditional classes with online courses, and their percentage is expected to grow every year. This doesn’t mean that traditional courses are being abandoned, but that now it’s easier for instructors/trainers to present real situations with the help of the multimedia tools, and for students it’s easier to understand these courses, without the need to attend classes. For the moment online education doesn’t replace nor exclude traditional education, but it co-exists with it. Maybe in the near future the percentage of e-learners will continue to grow, but it will definitely not totally replace traditional learning. 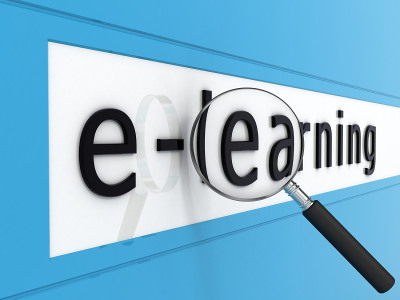 At this point E-learning still encounters numerous difficulties which have to be dealt with, one of them being the perception of the public which is still reluctant in accepting the online learning methodology. But, as new, more accessible technologies are developed, more and more people will embrace the idea of online learning.